Ever since commerce first began in pre-historic times with people bartering with each other for goods and services, success has always been more about who you know than what you know. Business is about connections, whether they be vendors, customers, suppliers, or even competitors. The more people you know, the more successful your business will be. The rise of the internet and online commerce over the course of the last two decades may have changed the way people buy and sell products, but it hasn’t changed the way the business world works. It is still critical for business owners to expand their list of contacts and continually interact with an ever-widening circle of people. Whether you are selling a box of corn flakes on the shelves of your grocery store or providing a website for people to order their breakfast cereal of choice and having it delivered to their doorstep the same day, the need for business owners to attract new customers, discover new suppliers, and make new connections with others within their same industry remains the same. Tech has changed the way most companies do business. But gives business owners new ways to make critical connections with others inside and outside of their specific industry. Networking has never been more important. But it also has never been easier. Now it’s possible to participate in networking events, interact with other business people, and seek out and connect with customers, vendors, suppliers, and even competitors right from your laptop. Face-to-face interactions remain one of the best ways to build relationships with other people within your industry. But it’s no longer the only way to expand your list of contacts. 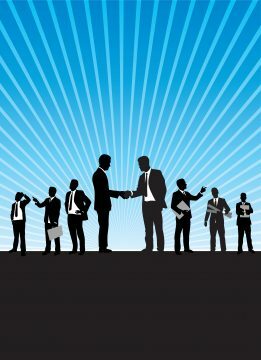 Attend networking events. But also join online forums, chatrooms, and other online opportunities to create critical connections with more people who can help your business succeed.